The end goal for all arc welders is the same - an expertly welded, precision product that’s to standard, sturdy, and even beautiful. Getting there, though, can be vastly different depending on the type of arc welding process they employ. Five main welding styles are used today, each with its own processes, equipment, and applications. As you keep gaining experience and expertise in any style of arc welding, you’ll find that within each style lie myriad other layers of choices, details, advice and tips for getting that perfect weld. But, as a wise woman once said, it’s always best to start at the beginning. Process: MIG welding is all about consumables, starting with a constantly fed wire that runs through the welding gun at a steady pace. As it exits the gun, it comes into contact with an electrically charged tip that causes it to melt and create the weld puddle. Gas is used to shield the weld, but the torch tip and other consumable parts need to be replaced at regular intervals due to melting. Equipment: A MIG setup requires a constant-voltage (CV) power source, a wire-feeding system, ground clamp, torch, shielding gas, and consumables. It is one of the easiest processes to master -- simply pull the trigger to start and stop the weld -- but it’s also one of the most prone to troubleshooting issues because of all the moving parts. Precision settings and regular maintenance are essential. Process: What’s the difference between TIG and MIG welding? While MIG welding uses a continuous wire feed, TIG uses non-consumable tungsten welding rods to generate extreme heat and melt the metal. It’s cooled by air or water and uses a separate filler metal to create the weld. It’s a clean, versatile process that requires the most skill. Equipment: A TIG setup requires a constant current (CC) power source, ground clamp, torch, and filler metal. You’ll also need shielding gas, but different gasses are used for TIG vs. MIG welding. Process: FCAW welding is very similar to MIG welding in that it also uses a continuous wire feed and a charged tip to create welds. The difference between MIG and FCAW welding is the type of wire and how the electrodes are shielded. While MIG welding uses gas for shielding, FCAW -- just as its named -- uses a hollow-core wire that’s filled with flux. (Somewhat similar to a Pixy Stix candy.) In some cases, extra gas isn’t required, and it’s better for outdoor work. It’s highly productive and is used most often in pressure vessels and heavy equipment. Equipment: The FCAW equipment list is also similar to MIG -- CV power supply, wire-feeding system and a water or air-cooled torch. In fact, many high-end MIG systems can support FCAW welding. But keep in mind that it has a much higher deposition rate than MIG, so it’s important that you select a setup that can keep up. And, since FCAW typically generates more smoke, fume extraction equipment is recommended. Process: Plasma welding joins workpieces using a high-heat jet of ionized gas that is heated to plasma inside the torch and then forced out through a constricting nozzle. It generates an extremely focused and intense plasma jet that can make deep, narrow cuts in quick order. Plasma welding is used primarily in automated applications. Equipment: A plasma welding setup resembles that of a TIG, with a CC power source, tungsten-rod electrodes, and a ground clamp to complete the circuit. The big difference is the torch -- it’s much more complicated than the TIG torch and requires a constant water feed for cooling. It utilizes a pilot arc to pre-heat the tungsten, which reduces tungsten micro-cracking. It also requires eagle-eye maintenance due to the extremely high-heat environment. because the flux coating creates a cloud of gas that shields the metal as it melts and prevents oxidation. As the gas evaporates, it leaves behind slag, which can be scraped off at the end of the job. 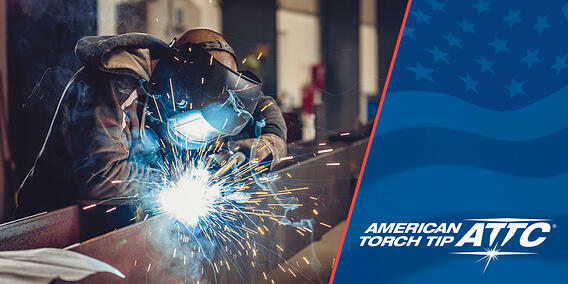 Equipment: Stick welding is so popular because of its inexpensive, simple and versatile setup. It requires a constant-current (CC) power supply, ground clamp, electrode holder, and electrodes. The types of electrodes are as varied as the metals they work best on, so be sure to do your research in advance.